McLaren Macomb, an acute care hospital in Mount Clemens, has appointed Dennis Cunningham as its new chief medical officer. Cunningham will provide leadership to the medical staff and lead the implementation of medical care. For 14 years, Cunningham served as an infectious diseases physician at Nationwide Hospital in Columbus, Ohio. 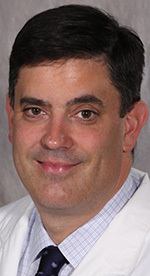 He was also an associate professor of clinical pediatrics at Ohio State University. The Oakland Township resident received his medical degree from the Robert Wood Johnson School of Medicine at the University of Medicine and Dentistry of New Jersey in Newark. In addition, Cunningham completed a pediatric residency at St. Christopher’s Hospital for Children in Philadelphia and a pediatric infectious diseases fellowship at the Centers for Vaccine Development at the University of Maryland School of Medicine in Baltimore.